Though most will be planning a special outing with their significant others this Valentine’s Day, I'll be bucking the trend with a day-long ode to oysters. You may be telling yourself, “She's probably single or maybe just doesn't play into that annual greeting-card holiday,” but nothing could be further from the truth. I'll gladly bring my boyfriend along (I'm not shellfish), and we can wrap our lips around this most marvelous mollusk together, and afterwards, who knows where the evening might take us? 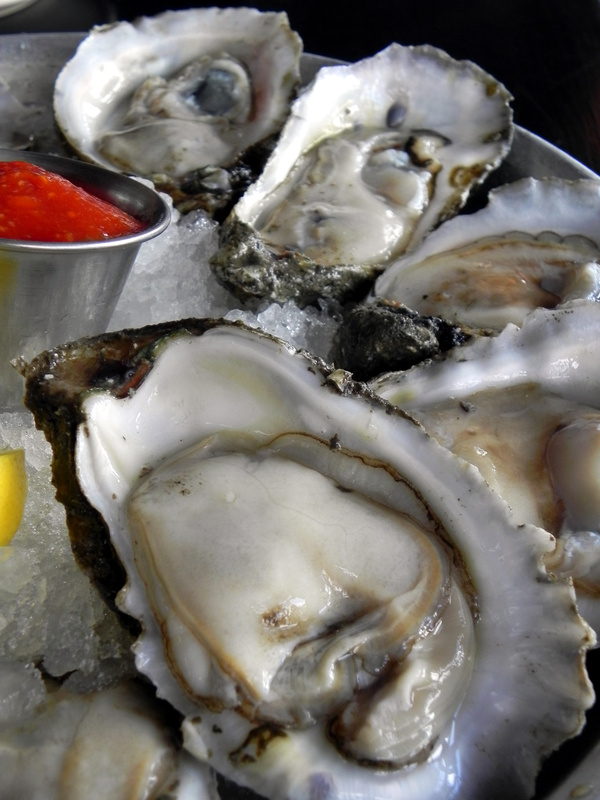 After all, oysters are said to be a most powerful aphrodisiac. 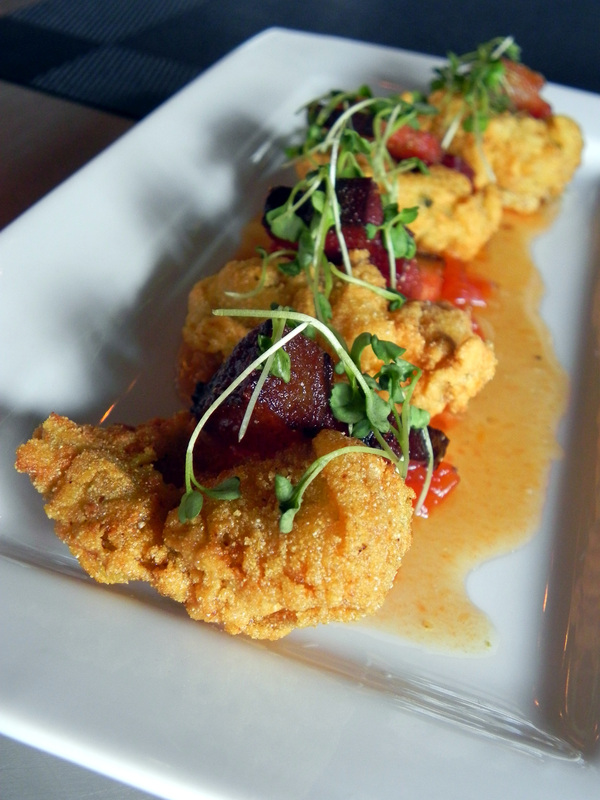 We'll start our journey in the Lower Garden District at the recently opened Gris-Gris. Chef Eric Cook has made us swoon with his Oyster & Cajun Caviar Po-Boy and Cast Iron-Seared Fish, but today we'll indulge in his signature dish, the Oyster “BLT.” Plump Gulf oysters are deep-fried and plated with smoked pork belly, peppery micro arugula, and tomato jam and drizzled with sugarcane vinegar for an oyster appetizer I won't want to share, though popping the crispy, smoky bites into my lover’s mouth is equally appealing. 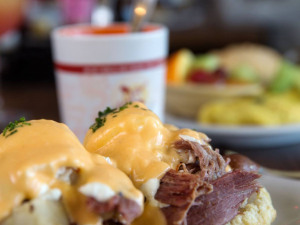 Next, we'll hop on a streetcar and rumble down into the French Quarter to The Governor Restaurant on the corner of Chartres and Bienville Streets. Sitting next to the open French doors, we'll gaze into each other's eyes lovingly till our plate of brie and roasted garlic butter-baked oysters arrives. Then all bets are off while we gobble each brie-laden bivalve with abandon, barely making eye contact until we both reach for another, only to find all of them are gone. Knowing me, I still won't be satisfied until we stroll several blocks through the French Market, buying oyster-related souvenirs—everything from shellfish earrings to oyster-touting totes. Then we'll smell it—right near the corner of Barracks Street and French Market Place—the aroma of Saint Cecilia—and we'll have no choice but to go in. 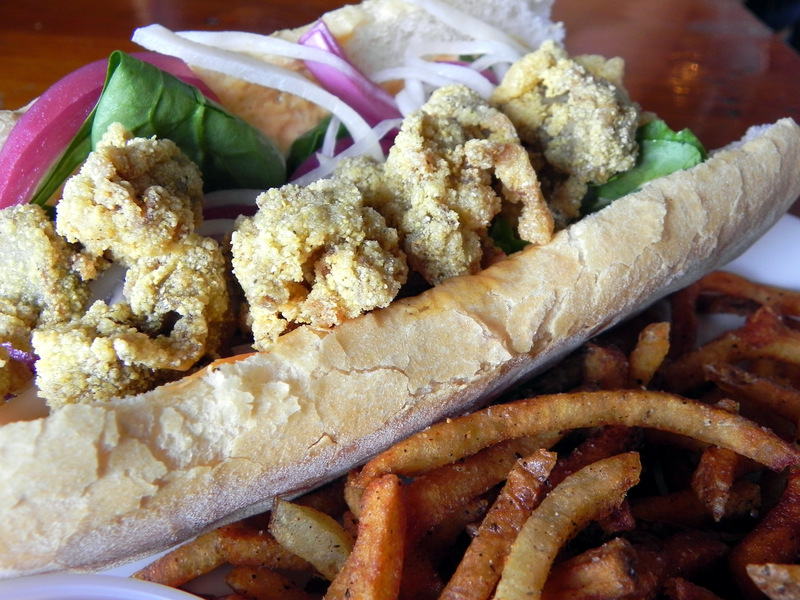 We'll split a giant, spicy oyster po-boy with flash-fried Louisiana oysters, pickled red onion, tomato, and horseradish mayonnaise. Will we be able to go on? We must! 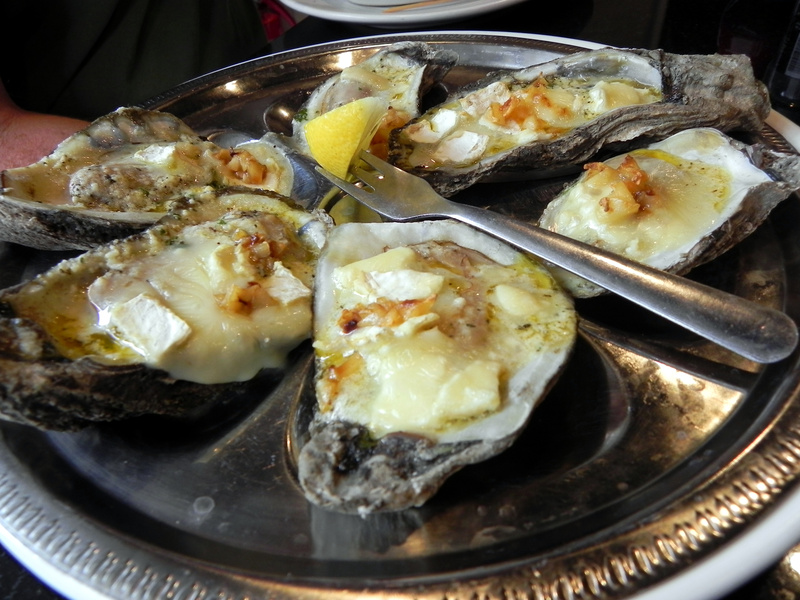 Especially when over in Mid-City, there are some bivalve beauties just calling our names. Building suspense and delicious anticipation, we'll slowly make our way over to MOPHO on City Park Avenue for a tongue-tingling taste of Vietnamese and New Orleans cuisine. 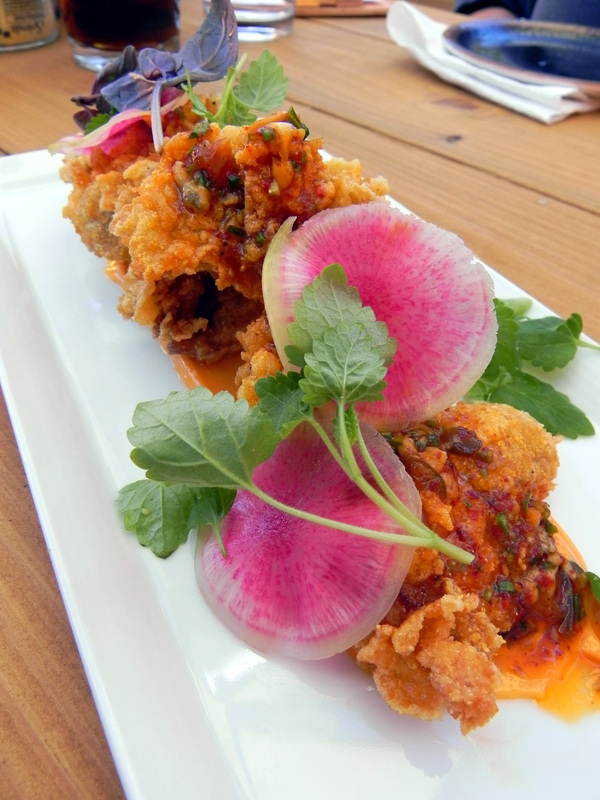 Though we may “ooh and aah” over the beautiful, crispy, cornmeal-fried P&J oysters with mopho mayo, radish, and pickled blue cheese, we certainly won't hesitate to inhale the whole plate, leaving nothing except perhaps a bruised sprig of parsley or a faint smear of sauce in our wake. Our oyster affair couldn't possibly end without the salty-sweet taste of raw Gulf oysters on our lips, so off we fly to Superior Seafood on St. Charles Avenue, where freshly shucked beauties are only $16 a dozen. With a loaf of warm French bread, saltine crackers, and horseradish, we'll sensuously slurp our way through every shell till we grab the last, scratch our heads, shrug, and order another round. An oyster dessert would be a fitting end to our day, but we'll likely be so stimulated by all the zinc that the only thought in our minds will be to head back home for some cuddle time. Of course, we could just as easily pass out from a food coma.